An unspeakable crime. A confounding investigation. 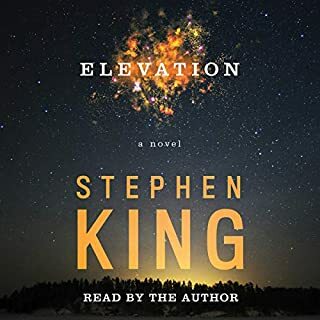 At a time when the King brand has never been stronger, he has delivered one of his most unsettling and compulsively listenable stories. 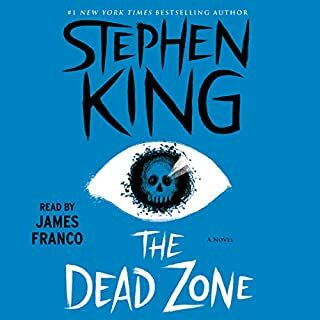 First Stephen King novel I’ve ever read/ listened too. I enjoyed the story- it got a bit predictable in the middle and end. If you’re looking for horror, this story is not for you. It’s more of a police procedural story with some science fiction elements. King is at it, again! 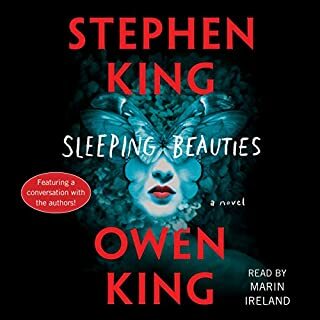 I thoroughly enjoyed this audiobook! King is a master storyteller, and this is another home run. A gripping story, that doesn’t let you go. It was well narrated and just sucked me right in. A future classic, for sure. This book is a perfect combination of old school crime drama and supernatural suspense. Stephen King’s writing displays it’s quality here. Will Patton did a fantastic job of giving life to the characters and situations. 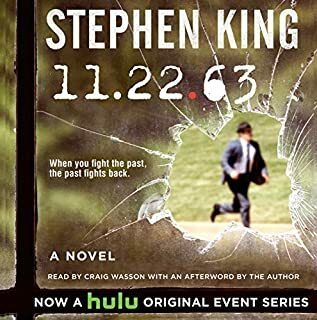 Like a lot of his recent stories, and in retrospect, a good chunk of his earlier work, King starts strong, circling a horrific tragedy and it's effects on those involved but inevitably drifts off into less engaging territory when the characters he has expertly fleshed out become too numerous to coexist realistically as a group. King's ability to showcase ultimately very believable and sympathetic characters and give them life in a dark and brooding reality is consistently undercut by his inability to bring them all together and make them act as believable human beings. 3/4 through the book, the people we've come to feel for as almost real, completely lose their legitimacy when they are made to interact with each other and discuss the events that have occured. Perhaps it's the nature of the supernatural occurencr they are facing which is ultimately so far-fetched and at times ridiculous that it drags away all the realism previously established, or maybe it's that there are too many characters with too many different personalities who are thrown together that their believability gets lost in the shuffle. There is also a distinct world building aspect in King's latest work that falls flat in comparison to his earlier masterpieces. Bill Hodges' supporting cast are unceremoniously thrown into the game midway through The Outsider and really don't seem to belong at all. 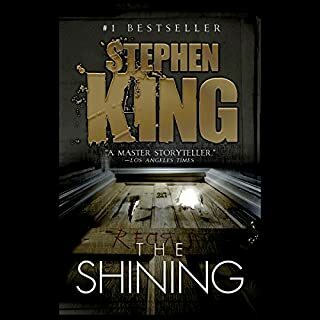 In an effort to curtail spoilers I urge the reader not to continue beyond this point: the book's antagonist appears to belong to the species of sorrow-eating vampires from Doctor Sleep and this very connection causes the bad guy to lose some of his/her/It's legitimacy because we've seen his kind easily dispatched in the dissapointing sequel to the shining. The Outsider starts out as an exceedingly strong mystery thriller but, as with King's more recent stories, fizzles into a flat and unintelligible supernatural vampire story with no bite. It is a frankensteining of fun genres that fails to find a spark of life. If I could say one thing to my literary hero it would be "Sorrow vampires just aren't interesting no matter how hard you try to make them a thing". I might also add "detective noir is engaging when it doesn't stray into supernatural territory". 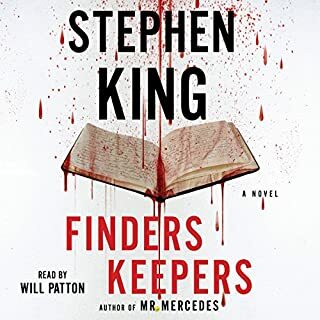 I'd also add to anyone reading this that I will never not pick up the latest King book/audiobook while I am able to do so. He might not do horror very well anymore but he is a master writer. One of the main character is female and it was almost comical listening to this narrator's rendition of her voice. It really took away from the story for me but it was an okay listen on a 12 hour drive nonetheless. 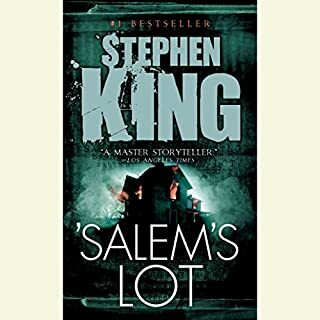 This was my first Stephen King novel and I couldn't put it down. I really enjoyed the suspense, the characters and plot. Great new King book! Very underrated. An excellent King story. Arresting and original, but with that signature Stephen King flavor. Some of the minor characters are a little ill-defined, which can be a little confusing. But all of the central characters are rich and interesting. The plot is creepy, fun and suspenseful. Also, Patton's performance is top-notch. Highly recommended. great narration, great story line, took a turn I wasn't anticipating.. but that's always a good surprise. The Outsider is worth your time. For my first listen of a King novel.. I didn't know what to expect. If you like crime/serial killer stories, you'll love it. The beginning of the story was a little hard to get in to because of the narrator's voice, his voice whistled loud while saying the "S"s in the words, but I kept listening and I was glad I stuck it through. Very good book, very creative as always! good listen, hard to hear at times in my semi truck. the audio could have been mixed better in my opinion. I’ve read a few of King’s books. I remember being so terrified by a couple I couldn’t sleep well that night. This one was not that caliber. It’s gratuitously graphic, redundant, and excruciatingly long. Holly’s voice made me turn the entire book off some days and dread picking it up again later. The narrator was either screaming or phoning it in with cans and string. Honestly, had he referenced that cantaloupe one more time I would have returned the book. Not for me and those saying the narration saved it are either his friends or are being paid. Save your money or your credit. It’s not worth it. 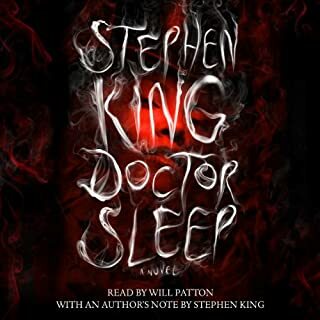 Will Patton did a wonderful job of reading this novel. He adds so much to this book. I will watch for him again. 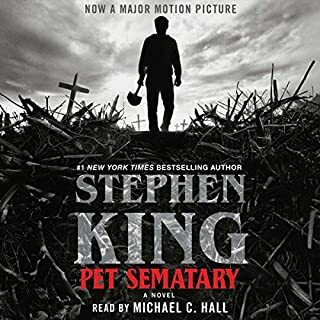 I read or listen to everything I can when it comes to Stephen King and he has been my go to author for almost 30 years. In the past few years he has become political in his books and it has been a huge turnoff. But in this book he toned down is political rhetoric and it's not distracting to this story. 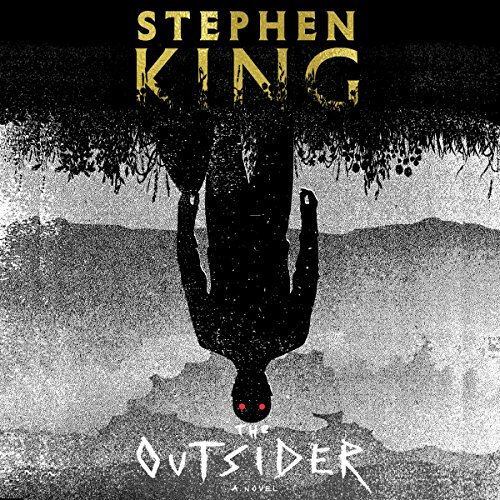 The outsider is a typical SK story and is well thought out and suspenseful. It has all the ingredients of Kings best novels, a really bad guy ( the outsider ) and the good guys hunting the bad guy. 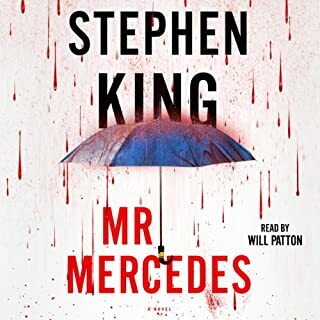 In this case he throws in Holly Gibney from the Mr. Mercedes trilogy. In that story she played an essential part in the mix of characters. After Holley is introduction into this book it seems to take a turn and never gets back into a believable storyline . I didn't like her in this role but many readers seemed to enjoy her introduction. 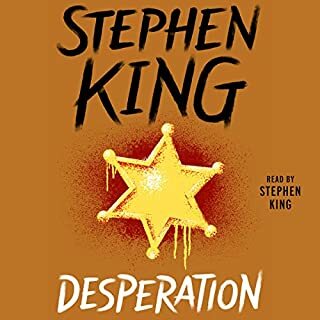 I just couldn't get myself to like it from start to finish I just kept listening because I purchased the book, but this was not a good story at all. 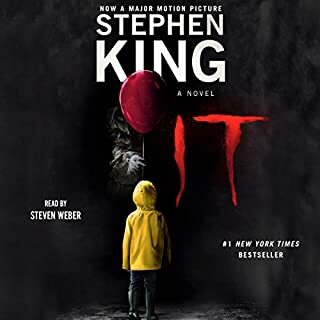 This is my first Stephen king novel and I had such high expectations after reading the reviews and enjoying King’s movie adaptations since I was a child. The crime described in the first few pages of the book and the detective charged with solving this crime had me hooked on the story right away. Sadly, then the book would give you one new piece of information and drag and drag and drag and then something else and repeat. 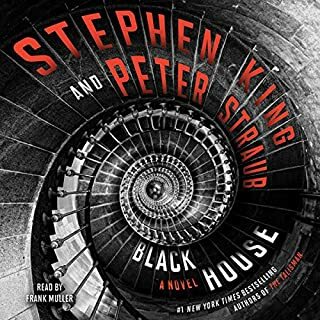 I enjoyed what I would consider to be the start of the second half of the book but then that familiar dragging continues and leads to a rather bland ending. I liked the narrators performance on most characters, however, some were extremely hard to listen to. One character in particular that is introduced half way through becomes a main character and her voice gets worse and worse as it goes on. Very timid, high pitch, and choppy with weird pausing. This character has some important scenes that I didn’t feel the proper emotion for because of the voice given to her. All in all, the book has some amazing ideas I just didn’t like how it all fit together. The book feels rushed. There is no character development. I did not feel any “connection” with the characters. The plot was slow and repetitive. The book has an “IT” feel without the “IT” level of detail to the story and characters. I feel that the point of the book was to quickly get out a “novel” to push SK’s political agenda (which he did accomplish that). 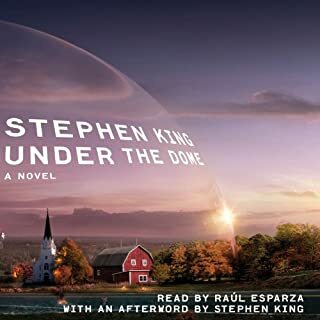 I see so many 5-star reviews, and can only assume it is from people that haven’t read the book (or listened) and have it at a 5 because it is SK. I am glad this audio book is over. It was a great book to start. however as the story of the outsider began to unfold I lost interest. it was too long and repetitive. the performance is outstanding. 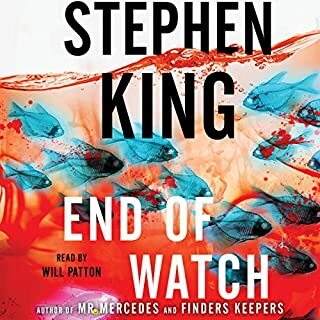 So...without too many spoilers...This book is essentially a 4th book in the Bill Hodges universe that King began with Mr. Mercedes. 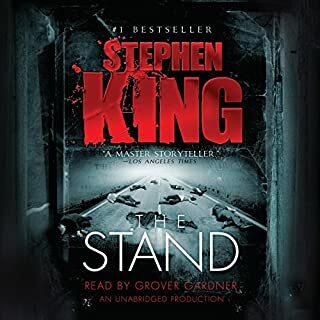 The story itself is just ok. King demonstrates that he *really* needs a stronger editor in the first third of the book, as he takes the reader down a hundred side streets that don't add much of anything to the story. Things start rolling along after that, and there are a couple of classic King creep out moments. Can't do it anymore. I'll go grab this one from the library and finish it on paper. I couldn't get past the 1st 2 chapters. 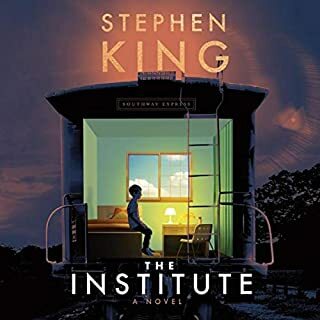 I’ve been a Stephen King fan for many years, I’ve listened to/read all of the classics and The Outsider seriously disappointed me, the extremely descriptive writing style I’ve grown fond of makes no real appearance in this book which makes it a really hollow experience overall. The ending is the definition of anti-climactic, you spend 17 hours waiting for the big finish and it’s just a big middle finger in your face. 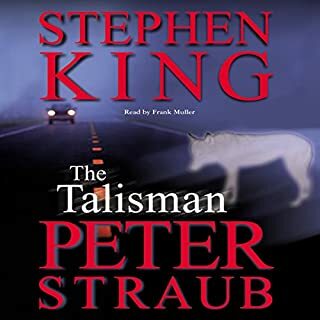 The performance wasn’t very good either which can ruin an audio book almost as quick as it’s poor writing. Overall pretty bummed and wouldn’t recommend.